The collaborators of Peeler Associates are Coaches, Facilitators, Teachers, and Consultants who bring a wealth of experience. They are subject matter experts in Leadership, Team Dynamics, Communication, Change, Presence, Interpersonal Relationships, Performance Management, Mindfulness, Career Management, Conflict Management and more. Having “walked in their shoes” helps Marie Peeler understand the challenges that today’s leaders face. Previously, Marie was a Managing Director for Harte-Hanks, an international direct marketing and communications firm, for nine years. During her tenure, she held positions as the President and General Manager of operating divisions on both coasts, where she had bottom line P & L accountability and managed staffs of several hundred people. Today Marie is an Executive Coach and Leadership Development professional that works with individuals and organizations to increase their business effectiveness. Marie works with the core belief that leaders must be developed from the inside out; self-awareness, emotional intelligence, authentic leadership and systems thinking are all key themes in her work. Marie works with both individual leaders and leadership teams. She helps her clients make fundamental changes that allow them to decide what’s important, see things differently, and take positive actions that bring them closer to their goals. An accomplished and enthusiastic Public Speaker, she also speaks at industry events and leads public and private workshops. Marie has a Master of Science degree in Organizational Learning and Development and earned her Coaching credentials at Georgetown University in the graduate level Leadership Coaching program there. She has earned the International Coach Federation Professional Certified Coach credential and the MBTI® Master Practitioner credential. She is also certified by The Leadership Circle™ and is authorized to use the Leadership Maturity Framework (LMF) and Profile (MAP). 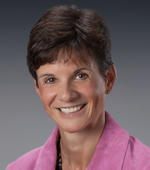 Active in her community, Marie is a member and past Chairman of the Board of the Old Colony YMCA, a non‐profit community and social services organization serving communities throughout eastern Massachusetts. Marie is also the Vice-Chair of the South Shore Chamber of Commerce Ambassadors and Chairman of the Marshfield, Duxbury, Pembroke Business Council. She is an active member of the Nonprofit Consultants Network and volunteers for the Bay Circuit Trail Alliance and her local animal shelter. Marie resides in Massachusetts with her husband. When she is not Coaching, Leading, Speaking, or Writing, she can usually be found hiking, biking, or kayaking outdoors; traveling; or indulging her artistic passions. Christina Brodie is a workplace conflict management specialist whose mission is for organizations and employees to be more productive and satisfied at work by improving their conflict management competencies. Chris provides Peeler Associates’ clients with services ranging from Mediation, Facilitation, and Training, to Negotiation and one-on-one Conflict Coaching. 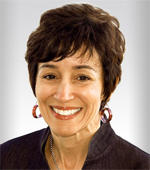 As a Mediator with a master’s degree in Conflict Resolution, and with training from Harvard’s Program on Negotiation, she helps organizations enhance their teams’ and individuals’ working relationships, and improve their effectiveness and performance within their companies, as well as with their customers, suppliers, and partners. Chris teaches Organizational Behavior at Suffolk University in Boston, MA, and is a Mediation panelist for the Community Dispute Settlement Center (CDSC) in Cambridge, and MWI in Boston. She is a board member of CDSC and of Neve Shalom/Wahat-al-Salam (Oasis of Peace), a bi-national, co-existence “living lab” community in Israel. 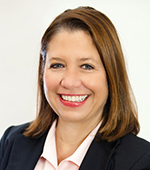 Pamela Campagna brings 25+ years of experience in sales and marketing, business strategy and operational planning to business-to-business, healthcare, technology, manufacturing, education, and non-profit to Peeler Associates’ clients. Pamela helps clients assess market opportunities, enter new markets, analyze business strategy and implement integrated and workable solutions that drive sales and productivity. 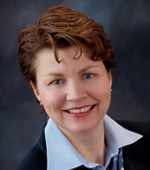 Pamela combines competency and skills development with her consulting approach. She has taught and facilitated graduate and undergraduate courses in marketing, sales management, business communications, international marketing, strategic planning and project management in various corporate and educational settings, including Boston College’s Carroll School of Management, Northeastern University, and Boston University. Pam is currently an Adjunct Professor in the Boston College Consulting Service Program as well as a Professor of Global Strategy and Global Management at HULT International Business School. She is a frequent speaker on business management issues throughout the region, and is also a MarketingProfs contributor. Pamela has earned her Certified Management Consultant® (CMC) certification, the mark of excellence for management consultants which is recognized in 50 countries. She currently serves on the CMC- Global Initiative Marketing Committee through the International Council of Management Consulting Institutes (ICMCI), the global standards body for management consultants and firms. In addition, she is a former Chapter President of the Institute of Management Consultants USA, the certifying/standards body and professional association for management consultants and firms in the USA. Nadia Prescott has over 25 years’ experience working with leading Fortune 500 and medium-sized companies and public sector organization both in the US and Europe. Her passion and energy come from working with leaders to improve individual performance and create organizational results. Previously, Nadia ran a consultancy in the UK, where she worked with small to medium sized businesses in healthcare and high tech before joining PeopleSoft in the US. At Peoplesoft, where she was recognized multiple times for outstanding marketing performance, she built and trained teams to consistently deliver on time and on budget, and to have fun in the process. She developed a reputation as a fair but uncompromising leader with a team oriented management style. Since 2000 Nadia has combined her strengths in business and organizational development with her passion for ensuring that leaders realize their true potential. Having held senior leadership positions in fast moving industries, she is familiar with the ever changing environment and the demands placed on leaders for employee satisfaction and strategic decision making while under scrutiny of shareholders, boards, and the public. Much of her work focuses on the highly valued attitudes and skills of leadership: emotional intelligence and self-awareness, the language of leadership and accountability, and work/life balance. Nadia is member of the International Association of Coaches and the Nonprofit Consultants Network of Boston. She graduated from the Coaches Training Institute and holds Coaching credentials from the International Coach Federation. Nadia is an avid traveler and considers herself a citizen of the world. When she’s at home in Salem, she loves to experiment with recipes collected on her travels, watch tennis and spend time with her two cockatiels. Karen Stacey is a Trainer and Coach with a love of learning and self-discovery and a commitment to personal growth. She is passionate about sharing her commitment to learning with others so that they can reach their highest potential. Karen’s experience over the past twenty five years has focused on leadership and personal coaching; designing, developing, and facilitating training for organizations in the areas of team building; performance management; change management; customer service, sales, presentation skills, personal skills development, and train the trainer. Previously, Karen managed corporate training functions in the insurance and banking industries and taught at the elementary school level. Karen has extensive experience and advanced training with Everything DiSC assessments, and is certified to deliver several other trademarked training programs and assessments. As a seasoned learning and development professional, Karen has worked with individuals from around the globe, and has delivered Training and Coaching one-on-one, in classroom and virtual venues. 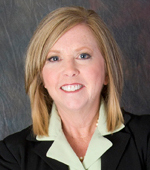 Karen has served as the Chair and Co-Chair of the South Shore Chamber of Commerce Education Advisory Board. She also volunteers as a Coach and mentor for young woman in career transition. Karen and her husband live in a seaside community in Massachusetts where they enjoy spending time with family and friends, building sandcastles with their grand nieces and nephews, kayaking, and playing golf. Whether you are a leader seeking a developmental challenge for yourself or you are looking to grow the talents and skills within your organization, contact us today so that we can assemble the perfect team to help you meet your unique challenges .